RAVENOL Motobike 4-T Ester 10W-50 is a full synthetic ester based, high-performance, low friction multigrade engine oil especially formulated for 4-stroke motorbike engines. The high quality formulation and the specially balanced additive package ensures compatibility with all components, including bikes with wet clutch and oil lubricated couplings, and offers excellent cold start behaviour and optimum lubrication throughout all conditions and temperatures. 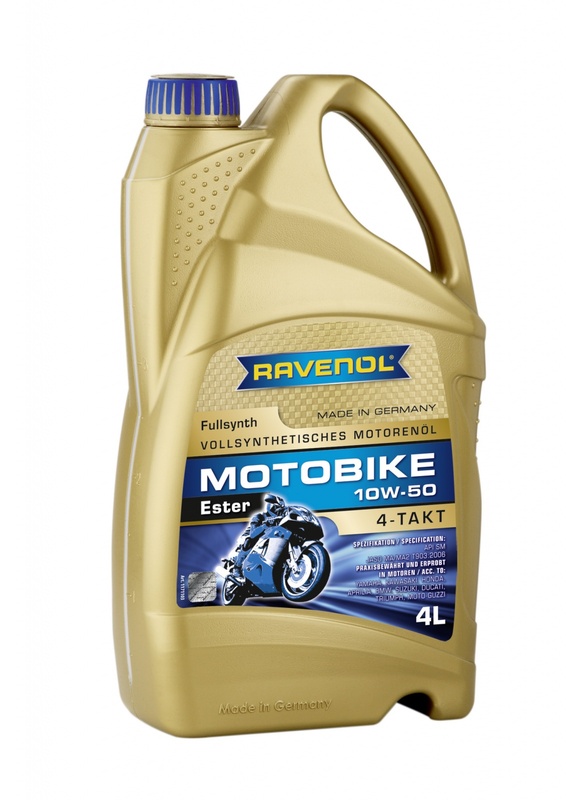 RAVENOL Motobike 4-T Ester 10W-50 is suitable as a high-performance, low friction engine oil for all motorbikes where a lubricant of the specification SAE 10W-50 is required. Especially recommended for modern high performance sports bikes and V-twin machines, including racing and track applications. Ideal for use in bike engine race cars such as those built by Spire Sportscars.